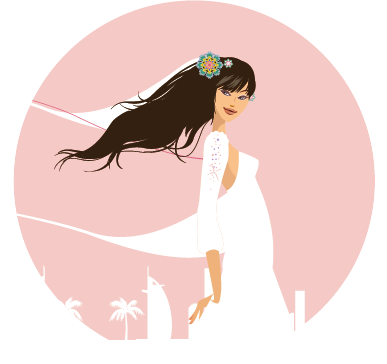 Established since 2012, Brideclubme.com is the UAE’s premier, award winning online information resource, for UAE based brides-to-be and brides abroad looking at the UAE as a wedding destination. It is a support network, forum and community for one of the biggest days of a woman’s life. With advice from our carefully selected expert panel, and run by Rhiannon Downie, a wedding industry consultant and speaker, with 15 years experience in media and marketing, we are The No1 online wedding guide for UAE brides. Our unique element is that we like to add the personal touch and take pleasure in being engaged with our readers. We do not discriminate and welcome brides to-be of all national, ethnic, religious backgrounds and budget ranges. Whether you are bride with an endless budget or a limited, the fact remains that both brides to-be have much in common. They share the same anxieties and have the same need for information and inspiration. We have partnered with many wedding professionals in the UAE and abroad, so we can perfectly match your needs with a suitable vendor. Bride Club ME is a fully licensed company under Club Media FZE, a boutique digital publishers and creative marketing agency for the wedding industry.